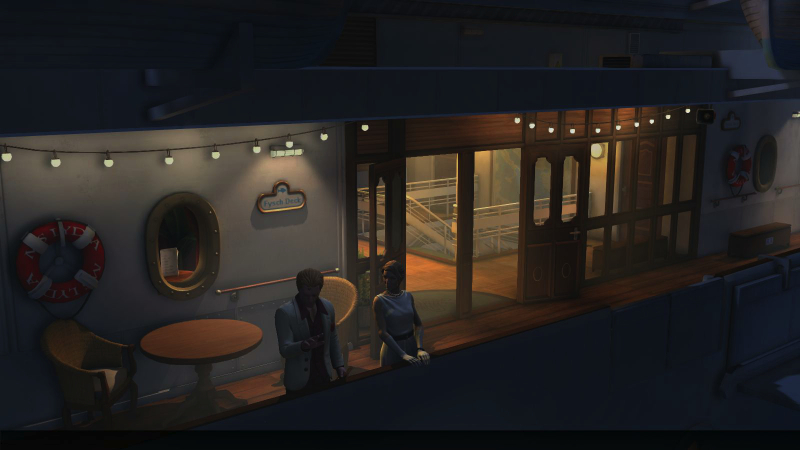 The Raven: Legacy of a Master Thief just released its final chapter! A Murder of Ravens was released on September 24. The game was developed by KING Art, who also brought us The Book of Unwritten Tales, and published by Nordic Games. Check out my reviews of chapter one, Eye of the Sphinx, and chapter two, Ancestry of Lies. 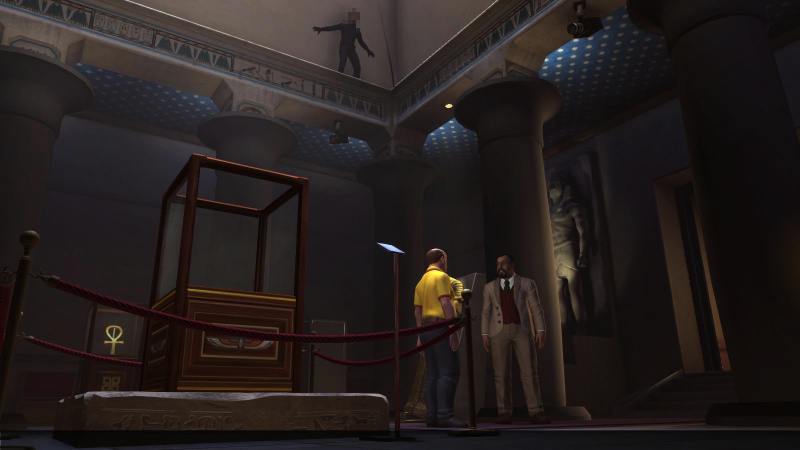 Warning: This review will contain plot spoilers for chapters one and two, Eye of the Sphinx and Ancestry of Lies, but will NOT spoil A Murder of Ravens. Paris, 1960: Europe is in the grip of the gentleman master thief The Raven. His burglaries are spectacular, and he always emerges unscathed. Young hotshot investigator Nicolas Legrand stuns the public when he confronts the master thief and fatally wounds him. Last time, we learned that Adil, the stowaway from episode one, was working with the man behind everything – Inch, the baroness’s butler. We also learned that Patricia is Adil’s fiancé and they are working together to double-cross Inch. You’ll be playing both Patricia and Adil in this episode (which I found disappointing; I’d gotten attached to playing Anton). Some plot details get a little twisted and convoluted, making it difficult to keep up with what was going on at times. It took me four hours to complete chapter three (compared to the five it took me to finish chapter one and the three it took for chapter two) – Steam says 12.1 hours total playtime for the entire game. Nothing substantial has changed since the first two episodes. The teeth on some of the models still creeps me out, and glitchy walking still occurs (including one instance where Patricia walked in place for a moment, then teleported to where I wanted her to go). Adil’s voice sounds better, quality-wise, to me than it did in episode two; I still don’t think it matches his ethnicity, however. We are told repeatedly that he is an Arabian man who worked in Europe, but he just sounds American. 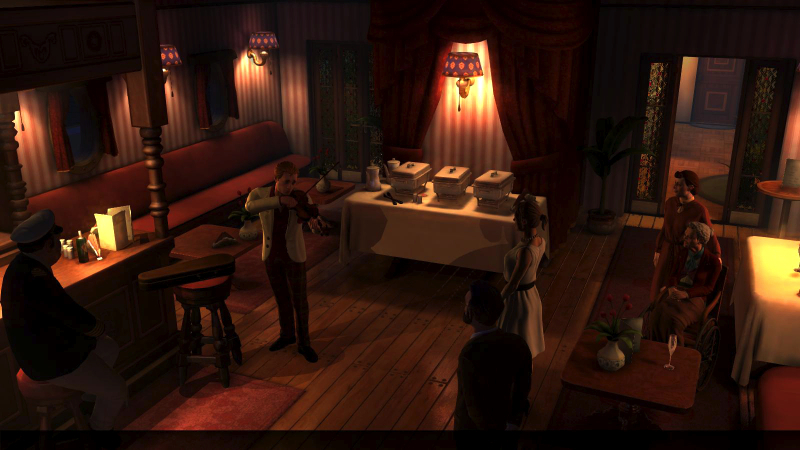 We also get additions to the soundtrack: a jazzy theme for on the ship, and a Middle Eastern theme while in Cairo. These sound good and are a welcome change of pace from the regular theme (which I like, but it got very repetitive throughout the first two episodes). I noticed that the game had controller support, so I gave that a shot out of curiosity, but didn’t find it as smooth as using the mouse. If you try it, make sure you change from classic mode to controller mode in the options. Gameplay was a real disappointment compared two the first two episodes. We get more insight into characters and their motives, but I felt like a lot of the game was me watching as opposed to solving puzzles. This can work with the right game, but didn’t really for this. The puzzles I did get were not as interesting or well-thought-out as in the previous episodes, and were frustrating on top of that. For instance, in the first major multi-part puzzle, some of the ways you have to find clues to different animals are extremely obscure, and a lot of exits and hotspots are difficult to find this time around. If I’m waving my mouse over the entire screen in frustration, something’s wrong. It takes far too long for characters to shuffle into place in this episode, something that wasn’t an issue before. Hotspots are sometimes weird in that the object is big, but the surface area you can click on to interact with is very small. There’s no reason for this. This episode isn’t very long, but it felt like a slog, and definitely wasn’t as compelling as the previous episodes. I did like that someone said “Yes, it’s sturdy, but it’s also too cumbersome to carry around,” when I tried to make her pick up a tall pole. This is a nice change from characters putting ridiculously-sized objects in their pockets (like a full-size traffic cone, Erica Reed). The ending of the game is a more than a little odd, abrupt, and unexpected. I will not spoil, but I’d be curious to hear some other opinions on it in the comments if you’ve played. The final Steam Achievements count for The Raven is thirty-five. I really enjoyed the first two chapters of The Raven, but the third one really fell apart in terms of pacing, puzzles, and a strange ending. Check out the official site, like the game on Facebook, and follow on Twitter. You can buy the game on Steam in a standard ($24.99) or deluxe ($29.99) edition. The deluxe edition includes the soundtrack, story book, making of booklet, papercraft mask, and a digital poster. 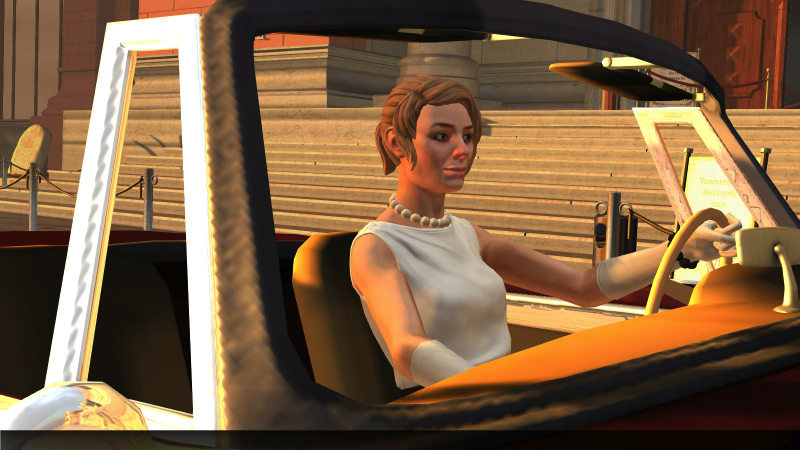 Both versions include access to all three chapters of the game.